So I didn’t quite get my Graveyard Book post up last week… the combination of grad school and the new job have been a bit rough, but I only have a semester and a half left to go after this one. I can’t wait to finally be done with school! This will just be a quick post, because I just finished a paper and need to go to bed before waking up at 5:30 am to go to work. I’ll need lots of caffeine to avoid being Zombie Librarian. I love the way that Neil Gaiman creates the theme that the world isn’t entirely bad, and that not everything that seems scary is inherently evil. Liza Hempstock and the Sleer are both great examples of this. The chapter where Bod gives Liza a headstone was my favorite part of the entire book; even though everyone told Bod to stay away from Liza because she was a witch, she ended up being a true friend and a good person who just happened to get shafted with some bad luck. I’m glad that Bod had the good sense to look past everyone else’s prejudices and make a new friend. And the Sleer? The Sleer is just awesomely creepy, and I love that it’s not malevolent, but just has motivations of its own. Ghouls, on the other hand, are just nasty. So are Jacks of All Trades. 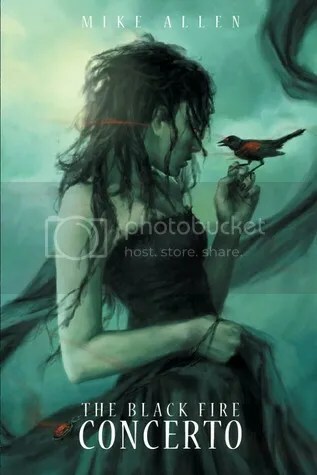 Even though Gaiman created a lot of characters that are rough on the outside but just misunderstood, he allows that there are still evil things in the world that will try to harm you, whether or not you are nice to them. I’m not sure that I particularly cared for the way that the book ended (even though I loved the book). I realize that it’s meant to be a parallel to “The Jungle Book,” but let’s face it… a fifteen or sixteen year old with a pocketful of cash is going to have a hard time being thrust into the world without some sort of direction, especially if he has no idea about modern life. I don’t think that going for pizza with Silas counts as understanding the world, and even when he went to school, Bod was very sheltered. I fear for him a bit. Perhaps Neil Gaiman will revisit Bod in a short story later on and let us know that he found a place for himself. I’d like that. What did everyone else think of the book? For anyone just joining in, the readalong is hosted by Carl over at Stainless Steel Droppings. Links to other people’s thoughts can be found here. Oh, and from this point onward there will be major plot spoilers from chapters 1-3. You have been warned! One of the things that I’ve noticed thus far is that each chapter is almost a story in itself. In the first chapter, we learn about a little boy who came to live in a graveyard after his parents were murdered by Jack-who-isn’t-the-Ripper with a big knife. I had initially thought that he was Jack the Ripper, but then a later chapter mentioned airplanes, which weren’t around in the late 1880s. Either way, I thought that the idea of a boy being raised in a graveyard was delightfully spooky, and adorable at the same time. The ghosts are the kind of people that I’d love to spend time with, as they each have their own quirky personalities. In the second chapter, we learn about how the little boy known as Nobody Owens makes his first friend who isn’t a dead person. The world beneath the hill reminded me of something straight out of Lovecraft, and I kept wanting to tell Bod that going down there was a bad idea. I liked how Gaiman made fear itself to be something more dangerous than the monsters in the hill, which is a nice little twist on a familiar theme. Now, for the third chapter. This was my favorite, because Bod’s new guardian is such a typical Russian mother. I am jealous that Bod got to eat borscht and dumplings and beet salad every day, and I’m perturbed that he didn’t appreciate it. At the same time, I can see how there’s a gap in understanding between Bod and Miss Lupuescu were coming from two completely different backgrounds. Neither one respected the other until disaster struck. I like the fact that each chapter is so distinctive and tells its own story. It makes the book quite amenable to a readalong format, because the story is broken down into small chunks and there aren’t major cliffhangers from one section into the next. 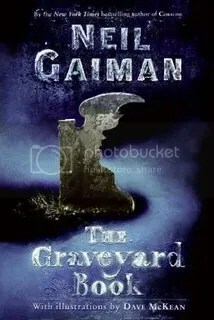 Neil Gaiman’s a great storyteller; this is rapidly putting me into a Halloween mood! Does anyone else think that Silas is a vampire? It’s that time of year again! From Sept. 1-Oct 31, Carl from Stainless Steel Droppings hosts the R.eaders I.mbibing P.eril challenge. 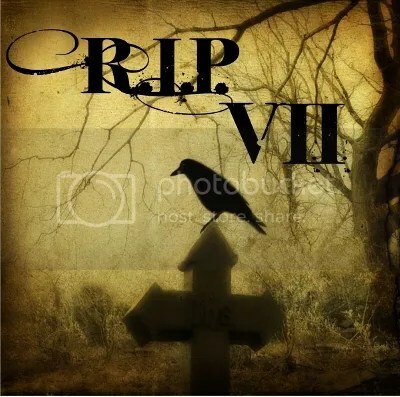 R.eaders I.mbibing P.eril VII focuses on reading novels from the following genres to set the mood for fall and Halloween: Mystery, Suspense, Thriller, Dark Fantasy, Gothic, Horror, Supernatural, and anything otherwise creepy. “Freak” by Jennifer Hiller – Generally I don’t read thrillers, but I won this one in a Name That Author contest over at BookRiot, and it seems like a good place to start. “The Twelve” by Jasper Kent – Russian history paired with vampires. I’ve been impatiently waiting to read this one because I wanted to wait to review it till RIP. It seems like the perfect book for me. 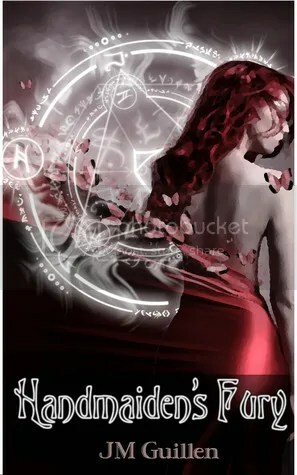 “Ironskin” by Tina Connoly – A re-telling of Jane Eyre, but with more fae. “Ripper” by Amy Carol Reeves – YA novel about Jack the Ripper. Buahahaha! “Drood” by Dan Simmons – I didn’t get to this one during last year’s challenge, so maybe this year will work out better. “Galilee” and/or “Imajica” by Clive Barker – I read Barker’s Weaveworld last year and was very impressed with his writing. Clive Barker is a horror writer who also dabbles in dark fantasy. 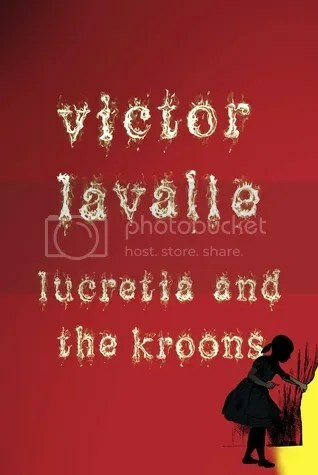 “Lucretia and the Kroons” by Victor LaValle – Horror novella that I picked up from Netgalley. It appears to be a nightmarish tale of two children who discover a shadowland. 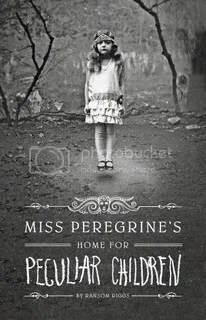 “Miss Peregrine’s Home for Peculiar Children” – This was the book that everyone was reading during last year’s RIP, but I didn’t get a chance to pick it up from the library/bookstore. Luckily, I now have a copy sitting on my Kindle, and I hope to read it this year. “The Dirty Streets of Heaven” by Tad Williams – Urban fantasy involving angels, demons, and body-snatching. “The City & The City” by China Mieville – Another one that I’ve been saving for a while. “The Vampire Lestat” by Anne Rice – I love Anne Rice’s writing, even though her vampires are a wee bit emo. “The Spindlers” by Lauren Oliver – Spiders that abscond with children and steal their souls. It seems like it might have a Neil Gaiman-like aesthetic to it. “Splendors and Glooms” by Laura Amy Schlitz – Victorian Gothic about children being kidnapped. There are also puppets. Mind you, these are all rather loose ideas; I probably won’t get to all of them, but it’s a starting point and gives you a general idea of what I have to choose from. It’s also not an exhaustive list, but rather the books on my shelf that seemed to jump out at me and shout “It’s RIP time again!” Just from glancing at my list, evil creatures stealing children seems to be a bit of a theme. This year’s RIP also includes two groupreads. The first is of “The Little Stranger” by Sarah Waters, and it begins right away. The signup is here and the first posting should be around Sept. 10. 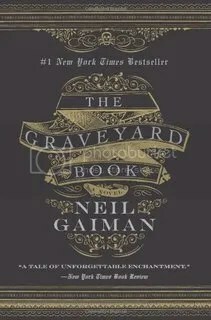 The second readalong is Neil Gaiman’s “The Graveyard Book,” which begins in October. I’m definitely participating in the Gaiman readalong. I’m leaning towards doing “The Little Stranger” as well, but I’m not 100% decided because I am scheduled to participate in two blog tours at the end of the month and don’t want to overburden myself too much. C’mon, somebody be a bad influence and convince me! Has anyone read any of these, and if so, what did you think? What are you looking forward to reading this fall?